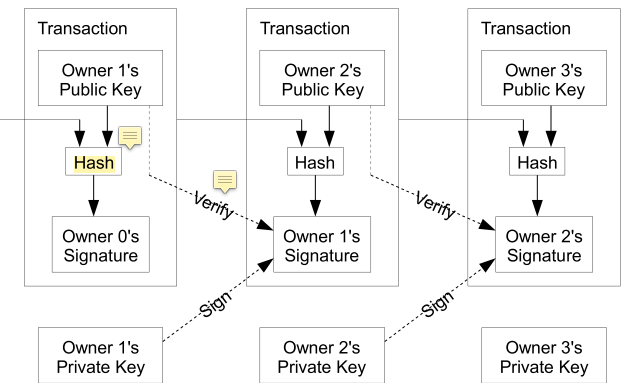 in transaction, what is 'hash' data? it means hash(txid + owner's public key)? then what method used hash function? or hash(result of signrawtransaction + RIPEMD160(sha256(pub k)) )? then what method used to hash? The hash refers to the signature hash, to which all tx data except for the input script is committed to (unless you are signing with a sighash flag other than ALL). The signature hash is what is signed with ECDSA to produce the signature. Not the answer you're looking for? Browse other questions tagged transactions bitcoind hash bitcoincore-development or ask your own question.